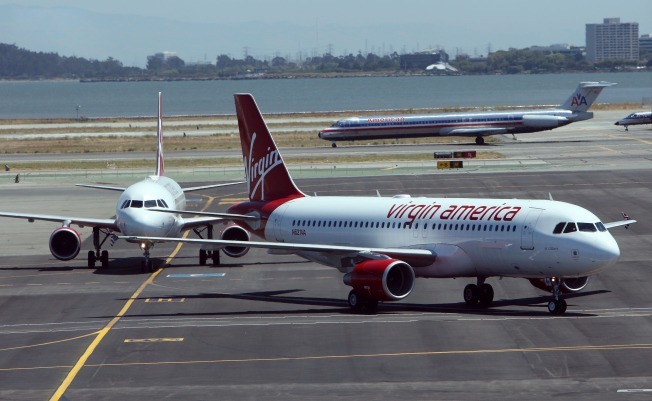 Passengers on three airlines including Virgin America will be able to surf the Internet for free during their holiday travels. Passengers on three airlines — AirTran, Delta and Virgin America — will be able to harness the Internet for free during their holiday travels. Google Chrome announced Monday it partnered with the three carriers to offer free Gogo Wi-Fi on domestic flights, from Nov. 20 through Jan. 2, 2011. "These participating airlines have outfitted their entire domestic fleet with Gogo Inflight Wi-Fi," Google's statement said, "and we expect more connected passengers this holiday season than ever before." Vote: How important is free Wi-Fi when you travel? Delta claims it operates the world's largest fleet of Wi-Fi-enabled airplanes. "Our holiday promotion with Google's Chrome browser team allows us to offer our customers free Wi-Fi as a small token of appreciation," said Tim Mapes, Delta's senior vice president – Marketing, in a press release. AirTran said it is pleased to offer free Wi-Fi to its passengers over the holidays, the carrier said in its press release.